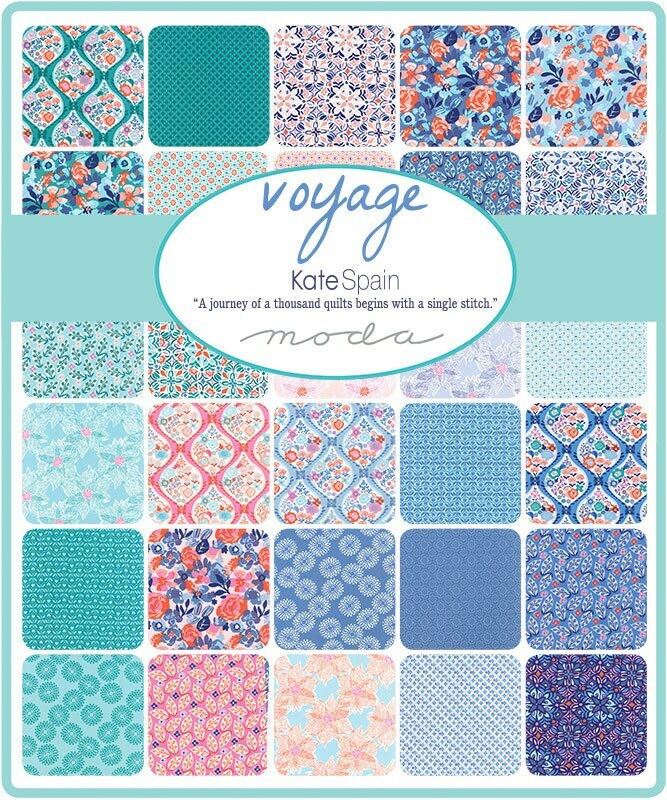 This listing is for 38 precut HALD YARDS from the "Voyage" collection designed by Kate Spain for Moda Fabrics. Each half yard measures approximately 18 in. x 44 in. and features a different print in the collection--no repeats. Yardage of prints in this collection are also available in my shop. All orders will be shipped USPS Flat Rate Priority Mail per order, regardless of the total amount. Click on the Shipping & Policies tab to see the current rate. 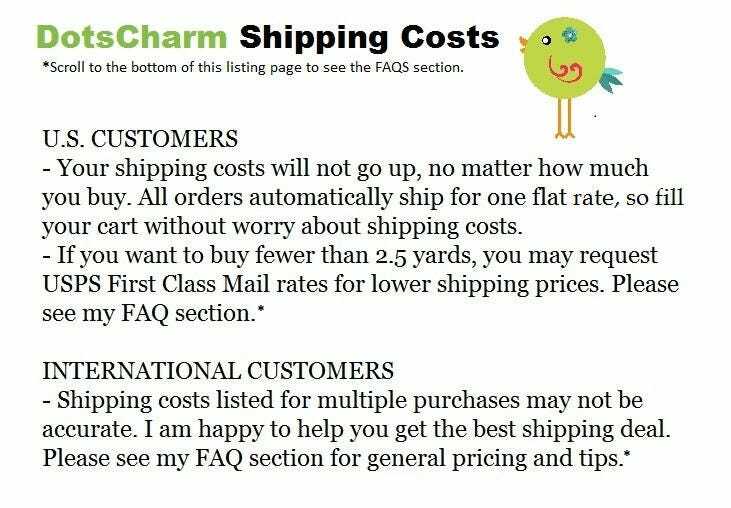 Whether you order a single fat quarter or 20 or more yards, the total shipping cost will be the same.